ACS Door Services of Sioux Falls is a family owned and operated company which was founded in 2002. Since then, we have been providing unparalleled garage door service to our customers in the Sioux Falls area. We plan to continue offering our blend of quality workmanship, superior products, and trustworthiness far into the future. Our goal is to provide each customer a customized garage door solution that fits within their budget. We ensure quality by using Garaga brand garage doors. In the past decade-and-a-half, we have found that Garaga has products that exceed expectations in terms of quality and reliability. No matter which Garaga brand garage door you choose, we are certain you will be satisfied by its durability, its reliability, its exceptional look, its outstanding energy efficiency, and its ease of maintenance. You can peruse the different door options right now by looking at our image gallery. There, you will see both contemporary and traditional designs. Call us at 605-332-5188 to talk to a representative. At ACS Door Services of Sioux Falls, we sell and install LiftMaster garage door openers because they are the safest, most reliable option. Your door opener choice matters because garage doors are heavy, and the opener must be reliable enough to stand up to repeated open-close cycles. We feel that LiftMaster openers are the most reliable, high-tech, and safest products on the market. Manufactured by the Chamberlain Group, LiftMaster has different product lines so there is something to suit any budget. You can also customize your opener with different options such as a backup battery, smartphone remote controls, and extra security features. Our experts strive to offer superior customer service. If you contact us, we can walk you through the different options or just let you browse our large selection of garage door openers online. It doesn’t matter if you need a residential or commercial-grade opener. Our experts can help you find something to fit your needs and your budget. You will use your garage door every day, and you need it to work without fail and to be repaired quickly when necessary. 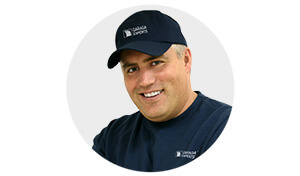 The Garaga Experts at ACS Door Services of Sioux Falls can provide you peace of mind during every stage of garage door ownership, from selection and installation to maintenance and repairs. When you come to select your garage door, you can also ask us about our preventive maintenance program and our extensive fleet of service vehicles, which can offer emergency service at any time, day or night. Also, our policy is to not charge our customers extra for necessary service. That is why we offer same-day service 7 days a week at no additional charge. Policies like this make ACS Door Services of Sioux Falls stand out when compared to other garage door companies. No project is too large or small for us. We work with residential, commercial, industrial and agricultural garage doors. If you need our expertise in the Sioux Falls, SD area, call us today at 605-332-5188 or reach out via our online quotation form. Thank you for your interest in ACS Door Services of Sioux Falls, and we look forward to working with you! South Dakota: Alcester, Baltic, Beresford, Brandon, Bridgewater, Burbank, Canistota, Canton, Centerville, Chancellor, Chester, Colman, Colton, Crooks, Davis, Dell Rapids, Egan, Fairview, Flandreau, Garretson, Gayville, Harrisburg, Hartford, Hudson, Humboldt, Hurley, Irene, Lennox, Lesterville, Lyons, Madison, Marion, Mission Hill, Monroe, Montrose, Parker, Renner, Rutland, Salem, Sioux Falls, Tabor, Tea, Trent, Utica, Valley Springs, Vermillion, Viborg, Volin, Wakonda, Wentworth, Worthing, Yankton. Iowa: Alvord, Doon, George, Hawarden, Hull, Inwood, Larchwood, Lester, Little Rock, Rock Rapids, Rock Valley. Nebraska: Bloomfield, Crofton, Fordyce, Hartington, Saint Helena, Wynot. Minnesota: Adrian, Beaver Creek, Edgerton, Ellsworth, Hardwick, Hills, Ihlen, Jasper, Kanaranzi, Kenneth, Leota, Luverne, Magnolia, Steen, Trosky.